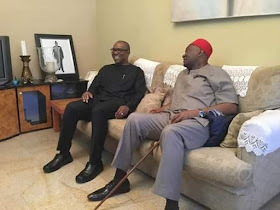 Nope Nwodo (President General Ohaneze Ndigbo) at his Enugu residence. Speaking during the visit, he said. 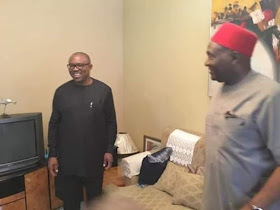 PDP Vice Presidential Candidate, His Excellency, Mr. Peter Obi paid a courtesy visit to Chief Nnia Nwodo. 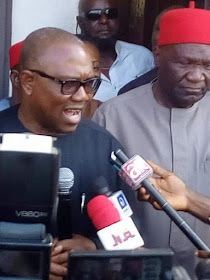 I have visited Governor Umahi, Ikpeazu, Ugwuanyi and will visit other Igbo leaders because of our oneness is the key to whatever political goals we pursue as a people. "